Despite the inhospitable IPO climate, one tech company managed to brave the market with just the right mix of novelty and disruption to garner attention and reap rewards. 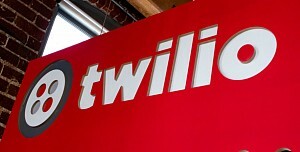 Madeleine Harrigan, senior financial analyst with Mercer Capital, explains what happened when Twilio, a cloud communications platform designed to help developers add messaging, voice, and video to web and mobile applications, went public on June 23. To read the full article in Mercer Capital’s Financial Reporting Blog, click: Twilio and the Rise of Debt Financing.